A trip to the royal city of Mysore will not just get you up close with its royal history but also delight you with its mélange of culture, food, art and more. Being located a mere 130 km from Bengaluru, the city of Mysore is under a 3 hour drive from the city on a well maintained highway that is dotted with a plethora of restaurants and sights that make for a pleasant drive. Having being ruled by the Wodeyar dynasty for over 500 years, Mysore is a city with a royal history. At the heart of the city is the beautiful Mysore Palace or the Amba Vilas Palace that is easily the most visited place here. Incidentally, the Mysore Palace has as many footfalls if not more than the Taj Mahal every year which is a small testament of its immense popularity. The Palace itself is a majestic structure built in Indo Saracenic architecture and was designed by Henry Irwin, a well-known English architect. The construction of the palace was started in 1897 and it took 15 years to build this three storied structure. Many parts of the palace are open to public and you can walk through history when you are here. This palace has several exhibits including the famous golden statue of Chamundi that is paraded on an elephant as part of the annual Dasara celebrations. Photography is however is not permitted inside the palace. While you are here however make sure that you look around – especially the ceilings, floor and walls that have intricate art work in deep colours that is sure to take your breath away. The Durbar Hall with its beautifully sculpted pillars and the Kalyana Mantapa with a dome shaped ceiling, stain glass work and patterned flooring are a must see while you are here. The palace is lit during public holidays as well as during the Dasara period and makes for a stunning visual sight at that time. The other place that must be on your itinerary is the Jaganmohan Palace that dates back to 1861 which has now been converted into an art gallery and houses one of the largest collections in South India. The erstwhile residence of the rulers, this beautiful palace houses some of the best collections of renowned artist Raja Ravi Verma. Interestingly some of the palaces have been converted into hotels including the Lalith Mahal palace and the Chittaranjan Palace. There are also several heritage buildings in the city like the Cheluvamba Vilas Palace, Jayalakshmi Vilas Palace, Crawford Hall, Oriental Research Institute Mysore, Marimallappa’s High School, Hardwick High School, Mysore Medical College, Town Hall and Krishnarajendra Hospital among many others that date back to many decades. In fact walking around the city is the best way to see the architecture of the days gone by. 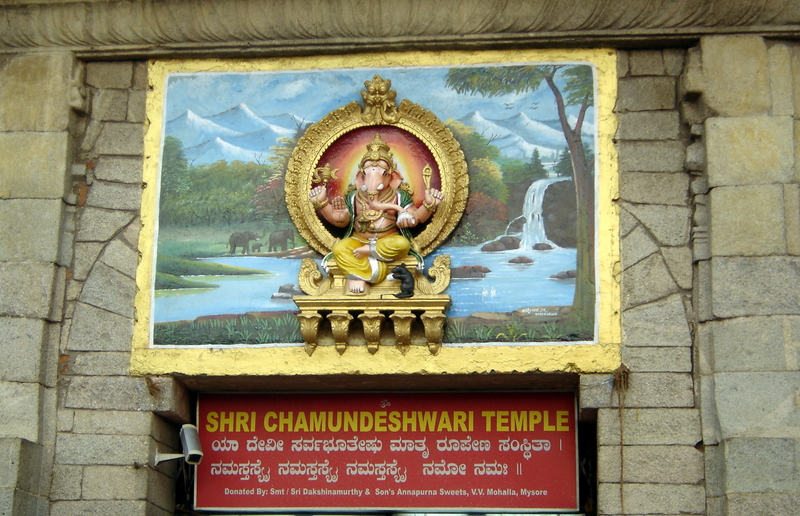 When you are in Mysore a visit to the Chamundi Hills is a must. The drive upto the hill is scenic and through a reserve forest that is also home to a family of leopards! The temple itself is the presiding deity of Mysore and is dedicated to Chamundi or Goddess Durga and dates back over 1000 years. The temple is almost always crowded which means you must be prepared for long queues before catching a glimpse of the beautiful statue inside. Being located on a hill, this place is surrounded by lush green landscapes and also gives you a ring side view of the city of Mysore. 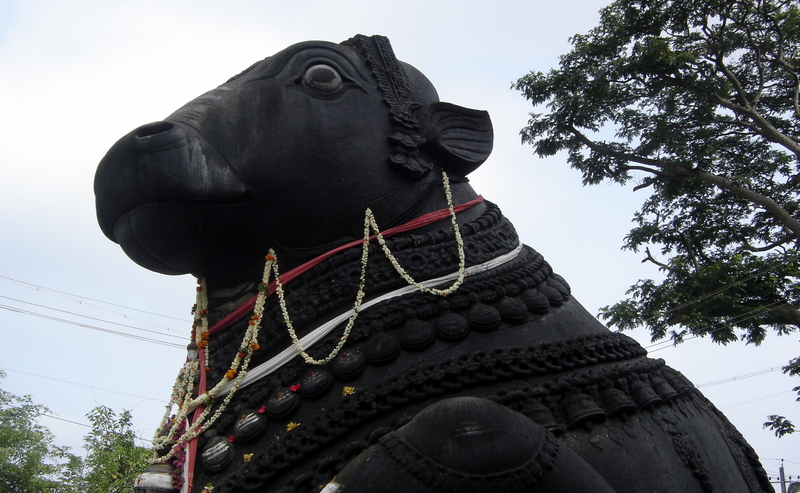 A larger than life statue of Mahishasura, the demon who Chamundi killed after a nine day fight – coinciding with the modern day Dasara festivities happen is seen outside the temple here. For a spiritual fill, head to the beautiful grey toned Saint Philomena Cathedral built in Neo-Gothic style whose twin spires are 175 feet tall and can be seen from a distance. The large hall inside has a capacity of 800 people and the interiors have beautiful stained glass windows that reflect many important scenes from the life and times of Jesus Christ. The Brindavan Gardens, spread over 60 acres located about 24 km away from the city is a must visit for its well laid out terrace gardens and symmetric design. Adjoining the famed Krishnaraja Sagar dam site this is a primary water source to the city and there are many colorful species of flowers here. A key feature is the large number of fountains inside the park and a highlight is the musical show that happens after sunset where the movement of the water from the fountains is synchronized with music. A huge draw the show draws large crowds at all times especially during weekends and holidays. Another must visit is the Mysore Zoo called the Sri Chamarajendra Zoological Gardens that is spread over 157 acres and is one of the oldest zoo’s in the country dating back to 1892. Apart from being home to a large number of animals, reptiles, birds and mammals, the zoo has many activities that involves citizens as well which gives it an edge. You can also adopt an animal here and be entitled to free complimentary passes for entry into the zoo. A small store is also available in-house where you can pick up interesting souvenirs for friends and family. Electrical buggy cars are also available at the zoo which is an easy way to get around the premises. Also managed by the zoo is the Karanji Lake, a paradise for bird lovers that is set amidst a beautiful landscape. If you are here in the morning you can spot several species of birds including pelicans, sunbirds, bulbuls, Ibis, cormorants and more. Incidentally the country’s biggest aviary is also here and there is also a bird watch tower, nursery and medicinal plants garden in the premises. Mysore is known as the home of Ashtanga Yoga and is home to several yoga retreats and wellness places as well. In fact you can sign up for yoga courses and spa getaways as well when you are here. This apart, do make time to visit the Devaraja Market housed in a heritage building that is home to the flower market including the famed Mysore Mallige a variety of fragrant jasmine. This is where you can see a variety of flowers being sold – loose, in the form of garlands and also strung in a variety of ways. The vendors here are quite friendly and will happy pose for pictures as well. The market also has a section for vegetables, coconuts, banana leaves, fruits and small Knick knacks. Walking through the crowded alleys is an experience in itself and must not be missed. Mysore is also home to soapstone carvers and there are a few fifth generation artisans who continue with this craft and create beautiful sculptures. Likewise, the inlay rose wood art is unique to this place and the art work created has pieces of ivory and bone and is manifested in artefacts and furniture. Being known for sandal oil and allied products a visit to the Government Sandal Oil factory established in 1917 will give you an education of how the processing of sandalwood happened when the factory was operational. Currently you can walk through the various sections of the factory that show the various stages of processing the wood to the oil including boiling, distillation and condensation. You can also buy products from the Mysore Sandal Factory including soaps, incense sticks, perfumes and cosmetics. Another place that must be on your itinerary in Mysore is the Government Silk Weaving Factory known for its popular Mysore Silk Sarees. What makes these sarees different is the use of pure silver strands in the zari that also adds to its cost and gives it a unique touch. The factory showcases the entire process from silk worm cocoons to the final product. In fact if you want to learn more about how silk is made, a visit to the Silk Worm Seed production center close by is recommended. This is where you can get an education on the entire life cycle of the silk worm. While in Mysore a visit to the delightful Railway Museum is a must. 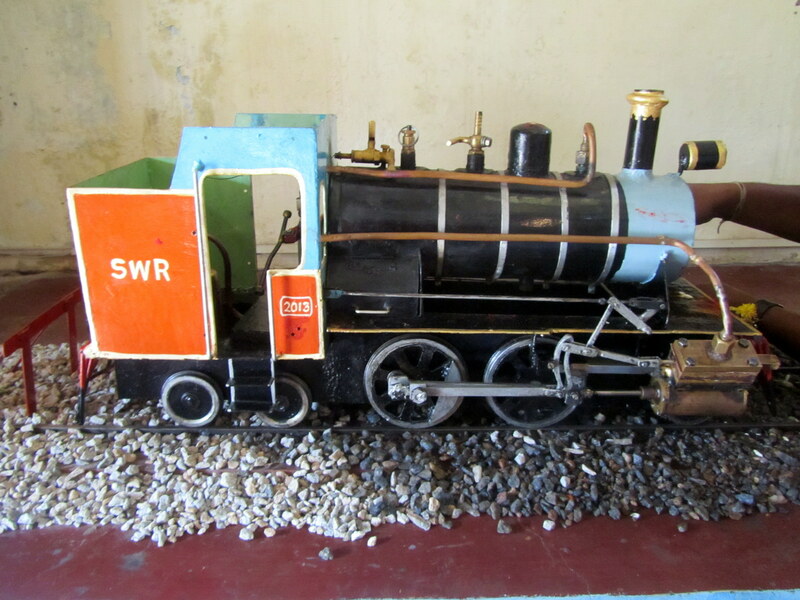 Started in 1979 by the Indian Railways, the museum has several vintage locomotives on display. This is where you will see an ES 506 4-6-2 locomotive, a YP #2511 made by Telco in 1963, an Austin Railway Car, built from a 1925 Austin model that is still in working condition, two royal coaches of the Wodeyar kings, Class E # 37244 4-4-4T from Surrey Iron Railway and a 1900 W.G. Bagnall # 162. A special attraction is the Maharani’s Saloon carriage that was used by the Queen of Mysore that has been preserved as such. This has a dining car unit, a kitchen and a royal toilet and dates back to 1899. The museum houses a collection of rare photographs, a hand operated steam water pump, signal signs, clocks, hand operated crane, railway lights, tickets and ticketing machines. A mini toy train also ply’s here that is popular with kids and adults alike. And if you have grown up reading R.K. Narayan, you must visit his house that has now been converted into a museum. As you walk through the house, you are enlightened about the achievements of the literary genius and also the fact that he was such a down to earth individual. This will take you back to Malgudi Days for sure and this restored place is a must see whether you are a literary fan or not. 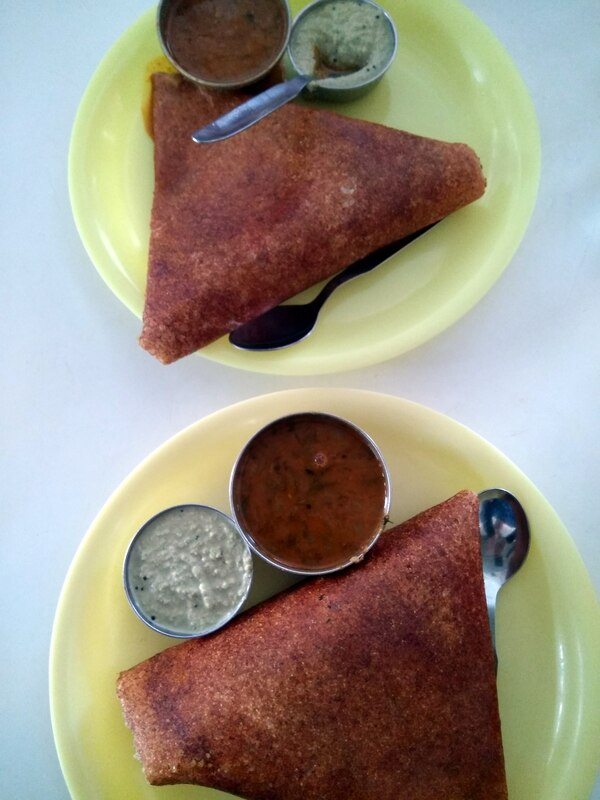 When in Mysore you must ensure to try the local food especially the Mysore Masala Dosa. The speciality of this dosa is that it is thick and served with dollops of butter. It is usually filled with a potato, onion mix and a thin paste of red chutney. The Mylari Hotel here only serves dosas and the filling here includes a mélange of vegetables with potatoes that make it quite different. The other kinds of dosas that you must try are the plain dosa, open dosa, rava dosa, set dosa and onion dosa. This apart idli, vada, khara baath (a semolina upma) and kesari baath (a semolina dessert) are must try’s for breakfast. And one dish that you must try is the Mysore Pak – a sweet dish made with gram flour, sugar and ghee that has many variants now but the original still has a nice crunch that will leave you asking for more. For lunch and dinner, you must try the typical vegetarian fare that includes Kosambri – a moong dal based salad, Chitranna, a mixed rice, rasam, sambhar, gojju, a thick gravy based dish, Bisibelebath (made with dal, rice and vegetables) as well as sweets like Chiroti (a flaky dish made with refined flour), Holige (a sweet chapati), Rave Unde (semolina laddus) and Shavige Payasa (a kheer made from rice noodles). The best time to visit Mysore is between October and March. Mysore is a potpourri of experiences and a visit to this city is bound to spring many a pleasant surprise. So make sure you have a few days on hand to experience the sights, sounds and smells for yourself on your next trip. • Mysore is well known for many things and interestingly all of these are prefixed with the name of the city. So whether it is Mysore Pak, Mysore Bonda, Mysore Masala Dosa or the Mysore Peta – this is where it all originated. • A good way to see the city is to enroll for a walking tour. There are a variety of tours on offer including heritage walks, food walks, artisan walks, colonial walks and old city walks that are organized. • Located in the vicinity of Mysore is the heritage town of Srirangapatna that has Tipu Sultan’s palace, Ranganatha Swamy temple and also the famed Rangantittu Bird Sanctuary. • Cycling tours are also available and can be organized with prior appointment.